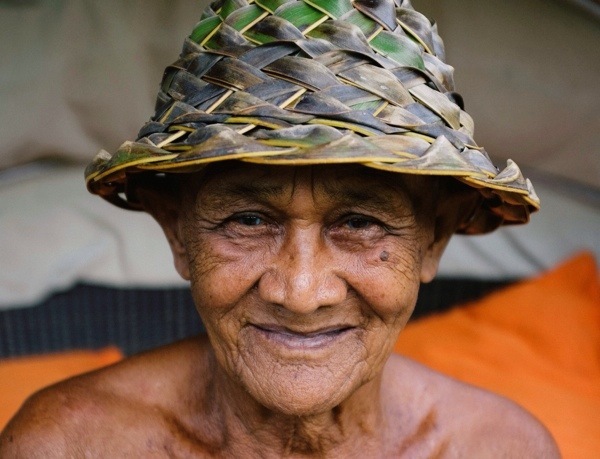 Generations of living underwater have endowed the Bajau Sea Gypsies with mysterious abilities to see clearly without goggles and reduce oxygen consumption to a tiny fraction of normal levels. Brad abandons all of his possessions to live as a gypsy and witness their secrets. He must learn their ways to survive. I wake before dawn, my cheekbone smashed against the bare floorboards where I slept. As my eyes focus, I see my drool drip through a gap in the floor, piercing the black, mercurial ocean water below me. Hunger pangs from days of malnourishment remind me that the key to surviving this day lies under that water and I must try again. Stumbling to my feet, my hips and knees throb as my blood circulates again. A faint blue light filters up through the floor, dancing on a rusted clock that has never worked and a doorway that has never held a door. Barefoot, I stumble outside over a pile of fish bones. I sit on the edge of the weathered porch where fish parts are dried, the only way of preservation on the fringes of the known world. As I stare into the mist, a dense silence envelops me, the dark water consuming any notion of sound. Rustic huts balance precariously on stilts above the ocean, unencumbered by any modern convenience. This is their universe, with the nearest land lying tucked beyond the horizon. Seasons don’t exist here, only generations and the passing days and nights. Most gypsies in this colony don’t even know their age. As my western concept of time blurs, a faint song emerges through the serenity. It begins with the whispers of husbands praying for safety and success, and continues with the dull drumbeat of a hundred wooden dugout canoes clapping against docks as they are loaded for the perilous journey and the sharp whisks of wives sweeping bare floors to a shine. As the sun peeks above the horizon, the gypsy divers set off in harmony, beneath the chorus of waking life. Nearby, a crowd gathers in anticipation as a mother holds her newborn son underwater, praying that the sea gods will bestow amphibious abilities needed for a lifetime of scavenging to feed their growing family. For several millennia, small, isolated families thrived in perfect balance with the ocean, taking only what they needed. International aid organizations broke that bond by herding and colonizing the nomadic gypsies into permanent settlements. Still, this life of symbiosis with the ocean is all the gypsies know and all they want. Despite the influence of modernization, the gypsies desperately cling to the nostalgia of their ancient traditions. 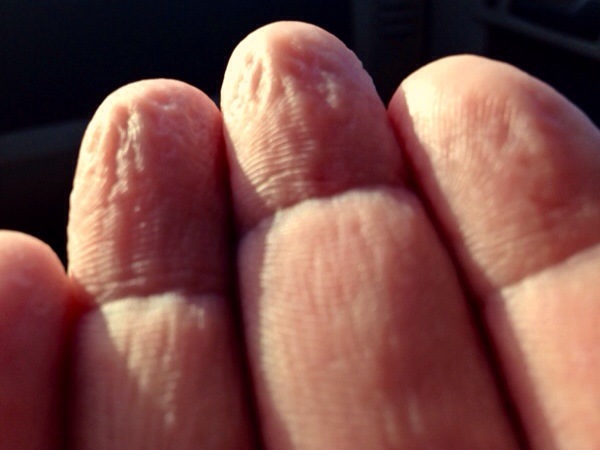 New evidence suggests our hands wrinkle in water as a reflex to increase grip on submerged objects. This amphibious society has evolved specialized reflexes inherited from seals to perform seemingly impossible feats of diving. We set out with Kaba’s cousin toward the family’s secret spot in the middle of the Gulf of Tomini. Here they put my freediving training to the test. With a single breath, we dive eight meters deep for up to five minutes, snaking through coral like a sea otter, foraging for a fish big enough to eat. Kaba takes another single breath at the surface and dives repeatedly. I gasp for air and watch in amazement as several octopi compete to flirt with his bait. After most of the morning, we catch barely enough for lunch and they are ecstatic. My inefficient body cowers with exhaustion and hunger. Sea gypsies have highly-adapted reflexes. Their eyes have evolved the special ability to see clearly underwater without goggles. They can also reduce their heartbeat to a near standstill and close blood vessels to consume a tiny fraction of oxygen while underwater. Not long ago, Kaba’s family, and the last sea gypsies, were herded into these villages and told to sell luxury sea products (sea cucumbers, sharks fins, etc.) to Chinese exporters for economic sustainability. Their religious leaders now preach for larger families to fill quotas and as a result the gypsy colony is bursting with children. The expanding marine sanctuaries are further confining where they can fish. The reefs have not been able to sustain the concentrated population growth and food is becoming scarce. 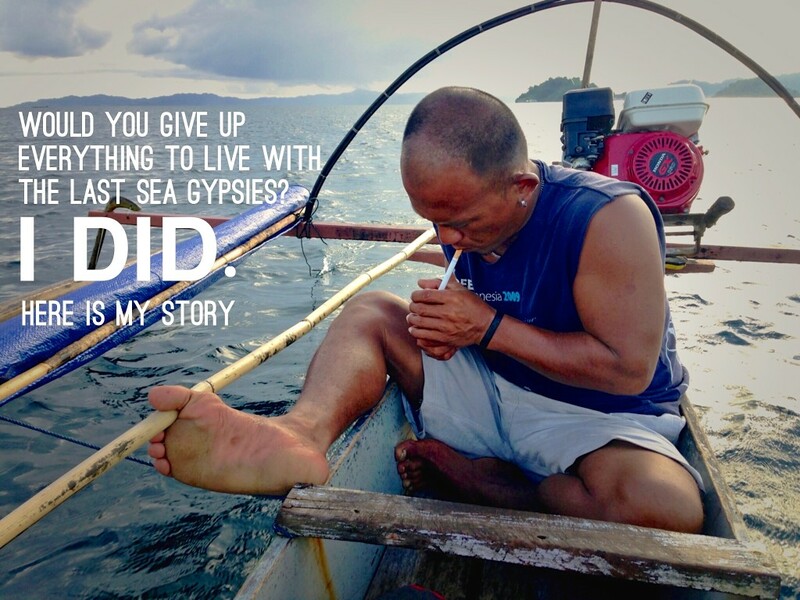 Now vilified by the aid community as being unsustainable, the gypsies are being told to farm seaweed for sushi restaurants by the same organizations that uprooted them from their seafaring lifestyle. Unknown to the gypsies, their future – and past – is quickly vanishing by concepts that are alien to them. An uncontrollable tide is pushing them toward a life poverty in the cities, with no use for their diving abilities. I cannot tell my new gypsy friends that their children are doomed to a life in the surface world. The future of these children in the gypsy colony is uncertain. I leave the sea gypsy village later that day, returning to a beach hut, surrounded by tourists. It is my escape from life in the modern world. To this day, I am burdened by the knowledge that the secrets of these superathletes and the world’s greatest divers are being paved over in the name of progress. I just found this link and am equally interested in this subject as it has been going on in Indonesia-as it has in all the other isolated places in the world as the 20th/21st century has discovered them. I have watched some of the world class tournaments or championships for longest and deepest free divers. It is , i guess a small but well established competition. forget if it had been exploited by a usa national tv sports station to fill for the weekend time slots other sports may have occupied or whether i saw it first on the internet. It is too bad that yet another sea connected society is being undermined by so called help organizations. I really thought that practices of this sort were abandoned and much more thought was given to the people, meaning their beliefs, history and social practices and were supported rather than the style convert everyone to Christianity to save their souls or something. angers me to no end that this small but vital community has been dismantled with such speed. I hope there are some places over there that they can keep from being totally drowned by progress. I am so interested in these sea gypsies. I am saddened by the fact that they are losing their perfect world due to the modern world hustling them. I think there is something magical about these people and I find myself wishing there was something I could to preserve their world. Thank you for reading, Leah. It’s an interesting system of beliefs and practices based on human symbiosis with the natural world. In a small way, we can all help by understanding their perspective. Interesting to read your experience. I spent a fair bit of time in 2009 living with and diving with the Bajau of Eastern Sabah. We were documenting a lot of their culture and the encroaching pressures from a changing world, I can definitely share the sentiments you have for such incredible people. At the time, there were lots of anecdotal stories about 5 minute breath-holds and diving without goggles, however when we travelled to find the actual people the stories were about; we tended to find that they were mostly “fishermen’s stories.” The divers we worked with used goggles fashioned from bits of glass etc and rubber bands, or very old looking dive masks – dive times were a little over 2min (still a great dive). We are currently doing some more work on this topic and I was wondering if your accounts are based on the common stories from around the area, or direct observations. I would be very interested to find the people from where the stories originate. Hi Lucas, thanks for reading. The Bajau are a fascinating people, I’d love to see what you found. Their unique abilities are part of a system of practices that once maintained a stasis with their difficult life and a symbiosis with their environment. The lure of the “easy life” and fragmentation of practices no longer supports the same level of self-development. 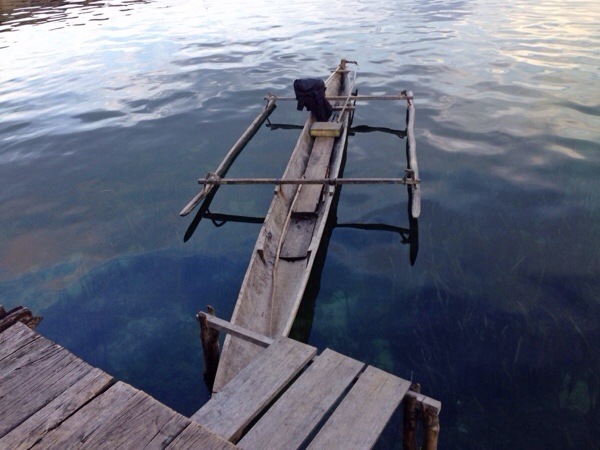 The Togean Islands are pretty isolated so you may be able to see more of those fragments. There was one last “true sea gypsie” in the colony- that is to say he was put in a boat with his new wife and was shoved off to make his way in the world. I could not stay down more than about 2 minutes myself but they were down there easily twice as long, and took a single breath and went back down. Mind-blowing. Diving to eat is a bit different than diving to beat a time record, I have no doubt they could stay down there for even longer if they weren’t swimming the whole time. They say they cannot dive without goggles in the open sea anymore because mucus of the sea cucumbers, so the sea products trade has smothered that ability. They typically dive with- as you say, crude handmade goggles- no fins, no compressed air anywhere. I’m not a scientist, not intent on proving anything, just following their methods and piecing together a picture of their world. This is the first time I heard about sea gypsies. It was just wonderful to read your writing. Thank you. Talk about immersing yourself! I thought this was in the Philippines at first but the names and spellings were a bit different. We spell it “Badjao” in the Philippines. It wasn’t until I saw the caption for the second photo that I realized it’s in Indonesia. Thank you so much for reading. It’s such a fascinating way of life that doesn’t get much love from the outside world. More to come… I’m starting a journey to experience life on the fringes of known world, to feel emotions that can’t be described, and see what exists beyond human limits. It’s almost as if the more different people are, more prejudices and ideologies are stripped away to see the connections on basic human terms. I see so much potential for insight. To the Bajau, the name “sea gypies” is an epithet – most activists in the Bajau community strongly argue against the implications of this term being attached to their traditional name (Bajau is also an exonym – most Bajau/Bajo around Indonesia, including those around the Togeans, call themselves “orang sama”). Historically, they were not isolated, and in fact had connections with other sama communities all over Southeast Asia and even to the edge of Australia (they speak mutually intelligble languages amongst the different communities). Their resettlement to less nomadic lifestyles was not a result of international aid organizations but under the power of the Indonesian government, especially during the Soeharto era. In the 1960s many Sama communities in Sulawesi were forcibly resettled because the government accused them as working as spies for regional rebellions against the state. Thanks for taking the time to read and leave your opinions, Jeng. Frankly, the point of my essay was lost on you. The fact is, these people are warm and welcoming and have a fascinating culture that is quickly vanishing because the world is changing them. 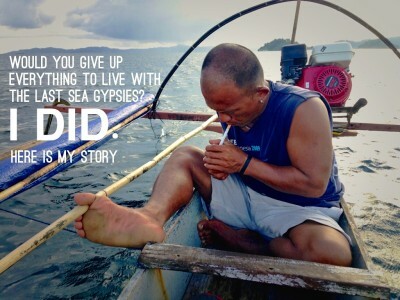 I stand behind my use of the word “sea gypsy” as it targets curious travelers with misconceptions about the Bajau people. Good luck with your survey of activists. I hope that works out for you. Such an amazing opportunity and fascinating article. Thank you for sharing! Thank you, Heather. It was humbling to to be invited in to experience their real life. There is always so much more to the story than you find on package tours. Interesting to learn about the Bajau Sea Gypsies. Almost ashamed to admit I had very little insight into this world prior to reading this post. Those enhanced abilities…who knew? Excellent read; photos are great too. Thank you so much for taking the time to read and your kind words, Paul. I didn’t really know too much about them myself until my freedive instructors told me about their miraculous abilities. I had to see for myself, so I hopped a dugout canoe to their village. The experience just blew me away! Communities like the Bajau sea gypsies have been living in harmony with nature for generations. 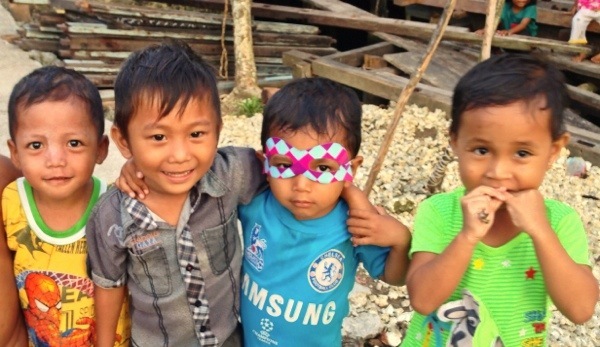 But the world around them is changing faster than the Bajau people could anticipate. It’s so sad to imagine that one day there might not be super athletes anymore hunting for fish in the Gulf of Tomini. Such an amazing experience beautifully told, Brad! What an incredible experience…and an incredible group of people. Their story makes me smile at how people find value in their lives, although it is a bit sad to see how the outside environment will change their way of life. Great photos, great story! Thanks for reading, Randall. Yeah, they are a happy, innocent people and in so thankful that they opened up their doors to me. You have a pretty incredible photo essay of rural China there, by the way. I just shared it on Twitter and got a lot of interest. You have great stories and such a unique perspective. Thank you so much for reading my story, Peter. I’ve never heard of the sea gypsies before. It sounds like they have some incredible diving skills. Too bad their skills can’t be put to better use, even in the face of progress. Thanks for reading Jennifer. It is sad we can’t have a more balanced view of development. What an amazing experience you had, and an opportunity to see the real down side of progress. I had never heard of this sea gypsies before, but like so many other readers I want to know more. Thank you for such a beautiful write up and photos. Thank you for reading, Rhonda. Unfortunately living in such isolation has bred some misunderstandings. Yes, they do survive off the reefs which I guess is not considered “green” anymore. They did have a completely sustainable and symbiotic relationship with nature before the world decided that their way of living was no longer acceptable. sad situation. I was captivated by your writing skills right from the start. What an enchanting culture, and you expressed it so well. Thanks for a great read! (and those kiddos are so cute! awe, thanks Cacinda. That means a lot. Brad, this is a gorgeous piece of writing. I was captivated and now want to read more about the sea gypsies. Well done. It’s such a shame that their skills can’t be better used than to farm for seaweed. Thanks for sharing your experience with these special people! Wow! This is an amazing piece of writing. I had never heard of sea gypsies before and it is amazing how they have adapted to the water. I really hope that their way of life does not become extinct and that ‘modernization’ does not take over their community. Thanks for reading, Cha Nel. They are such amazing people with abilities that modern science is still trying to explain. It’s too bad progress has to sometimes come at such a cost. This is so beautifully written with heart-warming photographs and such an important message. A wonderful read. Thank you so much for reading and your kind words, Shikha. It was so much fun to write. They are such amazing people with no concept of the dynamics surrounding them. How do you find these fascinating places? I love to travel and just came back from Fiji and New Zealand. My next trip is Europe, again. I will be adding these places you visited on my bucket list. I am excited to read more of your blogs and find out places i have never heard before. Thanks! It takes a lot of research, most of the time on the ground since many of the things I do are not on the Internet or in any guide book. From the first few words of your essay I sat entranced. I’ve never heard of the Gypsies, and my heart breaks at what our world has brought them to. Beautiful essay, wonderful photos. Thanks for bringing them into my world. Kim – Liv Life recently posted…Carlsbad, CA… our Spring Break Staycation! Perhaps they will someday hang a picture of the ocean in their cubicles like we all do. Thanks for reading. Yeah, it was quite the challenge to pull off. Very rewarding experience, though. I loved this place! I came here by boat on a day while staying at nearby Kadidri (paradise!). I loved how friendly the locals were especially kids and girls who followed me all the way around the village. And these guys diving skills are outrageous. I’ve dropped my diving tube at around 10 meters deep and the guy just dived for it and gotten it back. Have you volunteered to help the community there? Kadidri is paradise, that’s how I got there too. And yes, I was totally struck by the friendliness of the children there, they are so happy. Tourists go there, and everyone seemed really confused when it got dark and I didn’t leave. I am honestly a bit conflicted about the help they are getting, as it seems to be creating economic dependency and pulling them from their traditions. Their culture did thrive before help arrived, so I don’t know what the right answer is. Great post! You have a knack for finding interesting experience on your travels! The Travel Sisters recently posted…Hugging a Panda in Chengdu, China! Thanks! I’m always on the lookout for the best travel experiences. Let me know if you find one that’s worthy of making the list. Incredibly interesting read! Lovely written and brimming with information, this must have been a mesmerizing experience indeed. Thanks for reading, Oliver. I love your blog! Amazing writing! You do some seriously interesting things. I would have been useless. I can barely dive 1 metre down for 20 seconds! Thanks, Arianwen. That means a lot seeing that you’ve done just about every interesting thing on the planet! I was pretty worthless at holding my breath too. I took a freediving course with yoga breathing and the improvement was amazing. It still took a bit of starvation to stay under with them to catch lunch. What a great experience you had. It’s sad how our “progressing world” is steadily encroaching on the Bajau tribe way of life. But still, such a unique experience and I’m glad you’re able to share it with those of us who can’t reach it. Thanks for reading. These are wonderful people who are desperately trying to hold onto their culture and traditions. It’s a sad situation. I’ve worked for aid organizations and I’ve seen firsthand how blindly distributing aid can destroy cultures. There is a better way. The best organizations attempt to understand all of the tangential implications of their “help.” Sadly, targeted aid and measurement of results not yet as prevalent as it should be. Great read. Sad to hear that this amazing lifestyle is no longer sustainable. What an awesome experience it must have been to spend time with them. Thanks for reading, Ted. Yeah, there’s so much out there to see and experience before it’s lost forever. They have such interesting ways, you almost have to sever all ties to the modern world to really understand their world and what it means to be totally dependent on the ocean. Fascinating, wonderful people, I’m so thankful to be able to tell their story. Wow, thanks for sharing this unique experience. How did you come across these people and get the chance to stay with them? Definitely one of my favourite blogs. Thanks for reading, Keith. I’ve always been fascinated with the unique abilities and culture of the sea gypsies, but after I took a freediving course and learned the science behind training these reflexes, I had to go see the human limits in person. Ali at Black Marlin Divers in the Togean Islands grew up a sea gypsy, so after much insistence, he agreed to take me there to stay with them. They are so nice and welcoming, despite never having an outsider stay there. It’s a wonderful experience. You may want to take food, as they have super-efficient bodies that don’t need as much as “we” do in the civilized world. What a read Brad! I love your insight into such a unique world – and your descriptions are so vivid. Well done! Thanks, Anisha, that means a lot. I know how you immerse yourself in cultures and write eloquent and inspiring articles. Amazing work you do because you bring beautiful unknown worlds to those who don’t appreciate how easy they have it their world (industrialized). A shame that such a wonderful group of human beings are doomed to live a less adventurous/happy lifestyle because of the larger world’s greed. I love reading about your travels and look forward to the next post!!! ~ L.
Thank you so much for all of your encouragement, Lenor. Yeah, I think someone needs to save the sea gypsies from the civilized world. Such wonderful, giving, friendly people with such advanced abilities. I had to tell their story. Great review and pictures! Love to experience your travels through your eyes, but wish I could be with you. Thanks for reading. I’ll add some details about how to do this. They’ve never had anyone stay there, but I have a contact. Sweet, thanks! That’s awesome, I’m flattered you enjoy it, I never thought people would enjoy my silly stories, so this is encouraging. Lots more crazy stuff in the works, let’s meet up somewhere and go find some adventures. I have an ever-growing list of thinks to do. Most definitely! I’m in the same situation…for every thing I check off my list it seems 2-3 are added. In Vietnam now, not sure where I am headed after this but know I have to be back in Indonesia in May for a project I kickstarted called “Tour de Horror” — basically an adventure through all of the haunted locations in Indonesia in search of anything extraordinary. Other than that my year is free and I’m down to go wherever. Just let me know what you are thinking via email or WA and I’ll be there! No way, I had no idea there were haunted places in Indonesia. I can’t wait to check it out. I do have a magician in Sulawesi who is willing to let me live with him and show me how he does stuff. He is known for making dead people walk again and, so he claims, can demonstrate the spell on any animal. I’m fascinated and a little bit scared. There are tons! Apparently Indonesians are fascinated by these haunted locations and ghost stories too. In fact when I published my first article on my upcoming Tour de Horror I set a new record for most unique traffic within a 24hr period — a record that was then broken the following day, as more Indonesians started viewing my article (which was written in both Bahasa Indonesia and English). Great story Brad. In incredible story of evolution and how they’ve adapted to their environment – I found that fascinating. Sadder is how they’re getting jerked around in different directions by religious leaders, authorities, and aid organizations. Way of the world isn’t it? Yeah, it’s sad how the civilized world is so eager to homogenize cultures without trying to understand. What’s next? They’ll probably put a call center in the middle of the village. Yeah, it’s quite a unique experience, I will add details about how to do it. I think I’d have been knackered as you m8! I can hardly last 60 seconds and that’s relaxing in a bathtub. Awesome web page and great post! Thanks for resding! Yeah, it takes a bit of practice, ignoring the urge to breathe, but after some yoga and freediving lessons in Gili, I got much better at it. It’s such a liberating experience to dive without a bunch of gear. But those guys are so efficient, they went nonstop all morning and only a tiny bit of food.